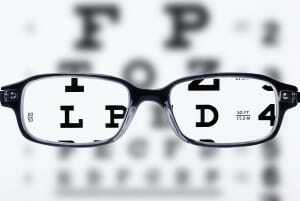 What Are Visual Acuity Tests? Visual acuity tests are one of the most basic and universal tools an optometrist has at their disposal. Out of all the tests, Phoenix eye doctors can run on your eyes, this is the most fundamental in determining how well you can see. Most of the time, the test is based on common eye charts you see everywhere: The ones with the big “E” at the top followed by rows of smaller letters. By carefully stepping down the font size for every line, it’s calibrated so that an optometrist can quickly tell how well a person’s eyes can focus. The results they get are expressed in the form of a fraction, based on how far from the chart a person is standing, which is usually 20 feet. Someone with 20/20 vision can accurately see something 20 feet away. This can go both ways. If someone is myopic (short-sighted), his or her vision might be 20/60. That is, without corrective lenses, they see an object 20 feet away as though it were 60 feet. Or, some lucky people are born with superior eyesight. The famous pilot Chuck Yeager, for example, reportedly tested at 20/10 during his military days, meaning his eyesight was far more clear and detailed than the average eyes. Another thing people often wonder about is whether they have to perfectly read every letter for it to “count,” especially on the smaller lines. The answer is “no.” While it’s up to the optometrist’s judgment, as long as you can read most letters on a line, you have that level of vision. That said, these visual acuity tests can also check for astigmatism – your eyes’ ability to distinguish parallel lines. Certain mix-ups between similarly shaped letters, like A and H can give a trained Phoenix eye doctor more insight into your eyesight. Because your eyesight will change over time, it’s recommended you have an eye exam annually. If it’s been more than a year, contact your Valley EyeCare Optometrist for an appointment!